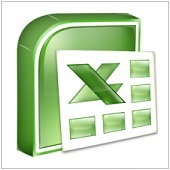 Have you ever struggled with fitting the contents of your Excel spreadsheet on one page? There are several ways to get around this, one of which is to use the Print Preview option in Excel. While in Print Preview mode, click the Margins button or tick the Show Margins checkbox to display the margins in Excel. You can now drag the right, left, top, and bottom margins just the way you want to be able fit the data onto the page.